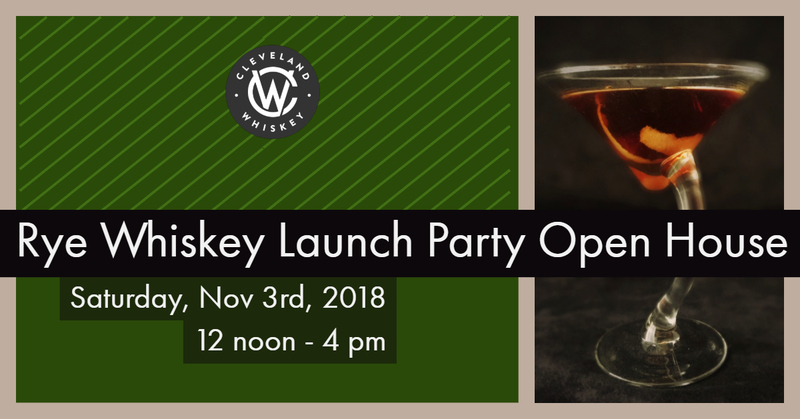 For the first time Cleveland Whiskey is releasing a Rye Whiskey. It is our first endeavour away from bourbon. We have been working on it for quite some time and we are so happy to say it is here and so tasty. We will have samples of the new Rye Whiskey as well as our other product lines. We will also feature a couple of cocktail options during the event. Check out our Facebook Event page, as we’ll be updating it as we have additional information. Bottle sales will begin when the doors open, first come first served. Unfortunately, we won’t be able to hold or ship bottles.